The annual friendship promotion had to be planned during a time of many transitions in the Real Estate sector, with the launch of RERA and the change in overall taxation, to GST. Both these had major implications on real estate sales which was at its lowest point. After the basic research and discussion with the team, it was learnt that sales in the Real Estate sector was mainly impacted due to pricing implications and also due to the impact of GST on under-construction apartments. 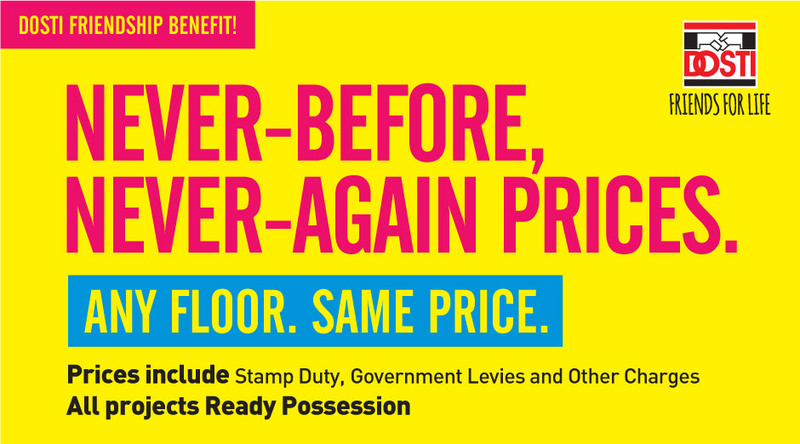 In order to avoid the implications of GST, the Company decided to liquidate all its ready inventory with the benefit of 'No GST' and optimised box price for apartments on any floor to be passed on to the customer. 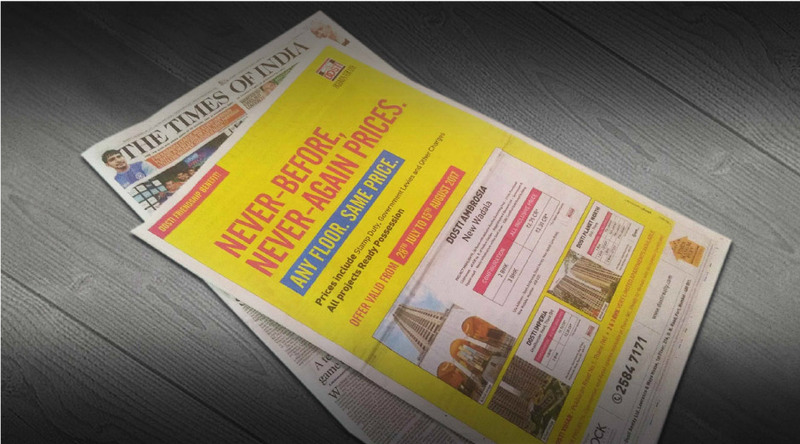 NEVER-BEFORE, NEVER-AGAIN PRICES was the headline that clinched it. 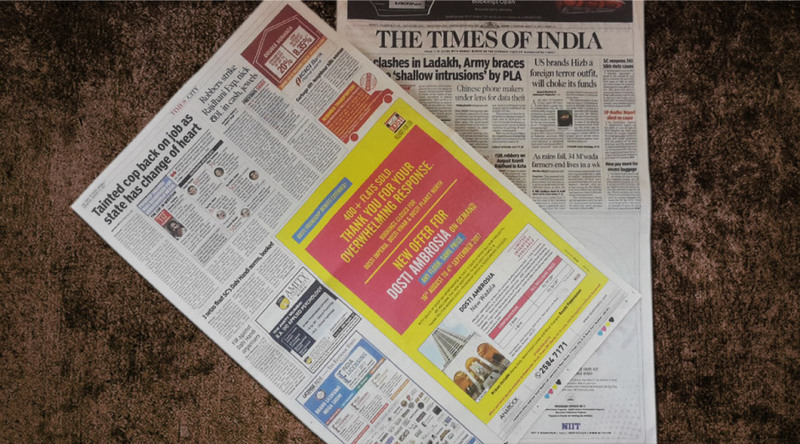 Young created a very clean communication campaign which highlighted only one aspect which was the most crucial element stimulating interest from prospects for all their ready possession apartments. The result was overwhelming. In 15 days, 400 plus apartments were sold thus generating more than $ 3.6 million approximately. 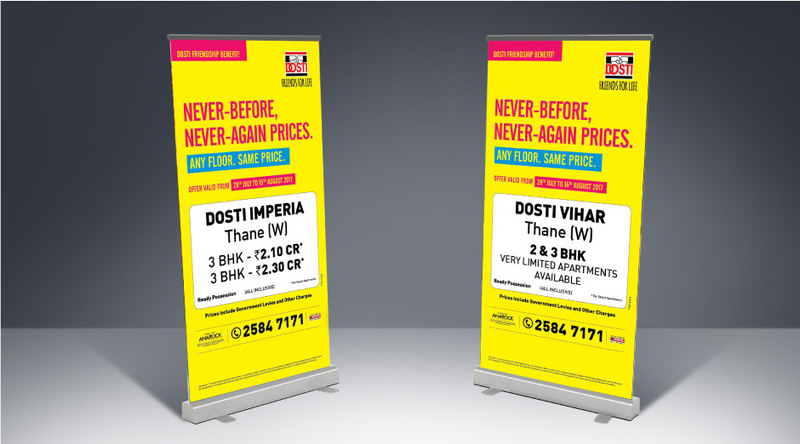 Concept Development, Campaign Development, Design, Advertisements, OOH etc.